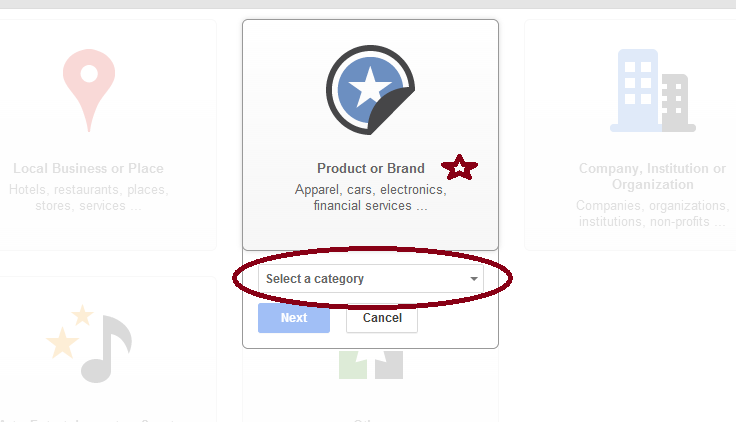 Choose the product or brand box, and then choose your product category. Fill out your name, website name, and agree to the Page Terms. The SEO title is the name of your page followed by Google+, so make your name count. Add profile photo, cover photo, and write your tagline and introduction. For SEO, your meta description is the page name, followed by your page tagline, and the first part of your introduction. by Photography TK Designs, a Zazzle Designer. 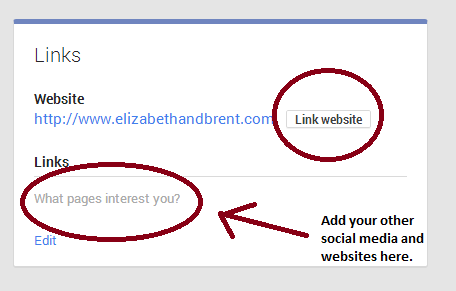 Link your website to G+ and add any other websites or social media pages in the “Links” section. Join relevant communities and add people in those communities to your circles. When others add you to their circles, don’t forget to add them back. 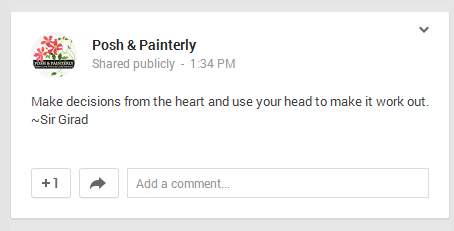 For example, if are making wedding invitations, join a wedding community. When someone from this community adds you to their circles, return the favor and add them back. Post photos, text, links, and videos on your page. 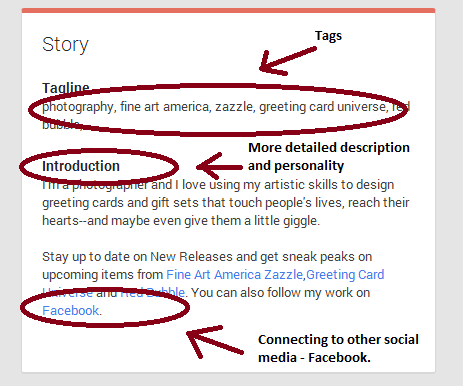 The SEO title of your update starts with the name of your profile page, followed by Google+ and then the beginning of your status update. 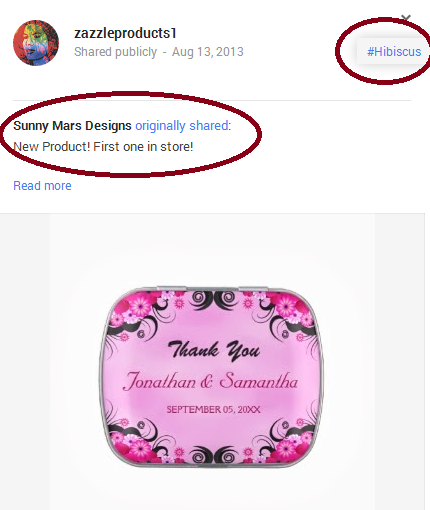 This means, it’s always good to have a description with keywords when you’re posting a picture, link or video. The meta description of your update is the main text of the update. Also, a link update will create a dofollow link, but a photo update with link in the text will be a nofollow. Basically, it’s good to have a variety of posts versus always posting in the same media style. by Posh & Painterly, a Zazzle Designer. Use “@” to tag people or pages on your page or in your comments. Use Hashtags to make your content more searchable. Share other pages and people’s content on your page. 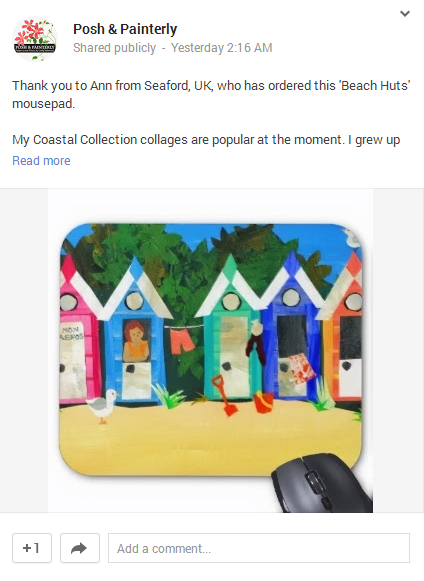 content by ZazzleProducts1, a Zazzle designer. Register an email from the domain where you contribute content or link your content to your contributions. Read more here. Install Google+ Badge on your website so people can easily follow your Google+ page from your website. 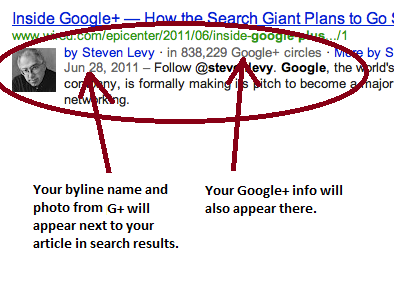 Add Direct Connect code so people can add your Google+ page to their circles right from Google Search.